In this comparison we will be looking at the Sony Xperia Z vs HTC One. The phones offer really impressive features, and in many ways they collide and come out in a draw with one phone hitting one minor hit on the other. In some places, however, their details and differences make a real difference on how the user will feel with the phone. As a disclaimer, this is not a “buy this phone” type comparison, although we will pick up on features that are better on one phone to the other. In our view, both these phones have excellent features and it is really up to the user to pick which one they prefer. 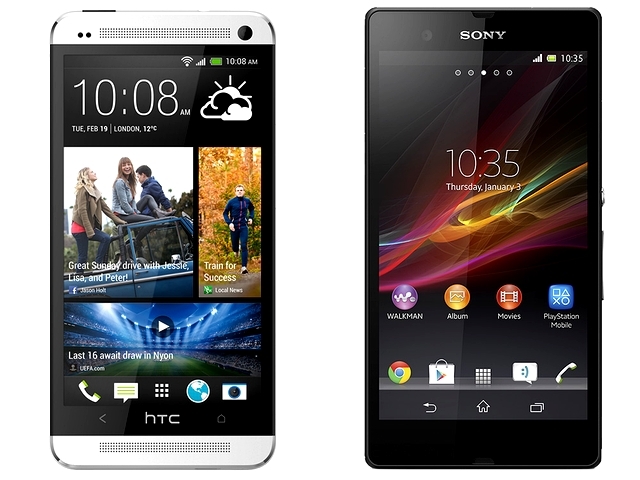 Sony and HTC have a different view of design, and it is clear with this Xperia Z vs HTC One comparison. While HTC have went for a fun but premium look, Sony have went with their traditional slick, stylish and premium design. Both phones are really nice and design has a lot to do with user preference. Some people love BlackBerry, some love the colourful Lumia 920, a collection love Galaxy S3 and their cheap plastic and many love the iPhone’s impressive design. Differences between the two include the fact the HTC One has more rounded edges and gives the effect of a curved rectangular phone. 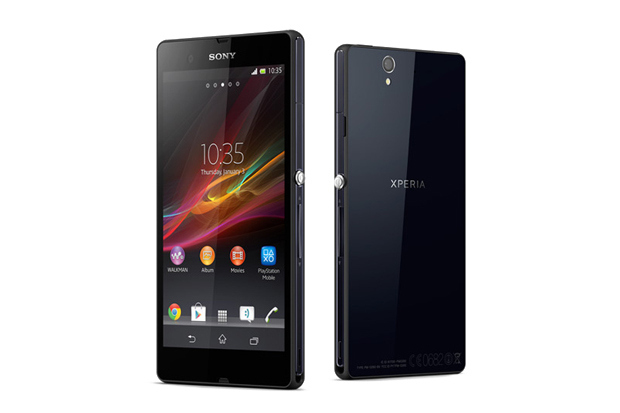 The Xperia Z, however, has a lot more rectangle with no rounded corners, although at the top their is a small curve. The HTC One bottom is covered with small speaker holes for improved audio and the One’s front has a lot more going on. The Xperia Z has a front-facing camera but it is barely seen on the sleek black model. This again is personal preference, but we really prefer the minimalist design of the Xperia Z compared to the “show everything” HTC One. Performance wise this may be a plus for the HTC One. The feel of the two phones is very different as well, while the Xperia Z goes for the hardened plastic, the HTC One has its first aluminium flagship smartphone. Unlike Samsung’s rather cheap plastic, the Xperia Z still feels premium in the hand and the plastic is a needed part for the phone to be waterproof. In this comparison between the Xperia Z vs HTC One, we really find that both smartphones have really impressive screens. Differentiation in screens and displays are done through perception of colour accuracy and pixel density. The Xperia Z is a 5.0-inch smartphone, while the HTC One is a 4.7-inch smartphone. It is, as most thing are, personal preference, although due to the rounded design of the HTC One it is a lot more easy to hold. Both smartphones have a resolution of 1920 x 1080, but the pixel density on the HTC One is an improvement, at 468ppi, compared to the Xperia Z 443ppi. Sony state that the BRAVIA engine they put on the Xperia Z can make comparisons with colours and we do see blacks as much darker and colours really showing on that smartphone. Both have really impressive screens and they are on another level compared to the iPhone 5 and Galaxy S3. We cannot really pick a winner in this category, simply because both screens provide an excellent experience. With Sony adding the Xperia Z to the market a little earlier, they missed out on the opportunity to add the Qualcomm Snapdragon 600 quad-core processor, which the HTC One took full advantage of. 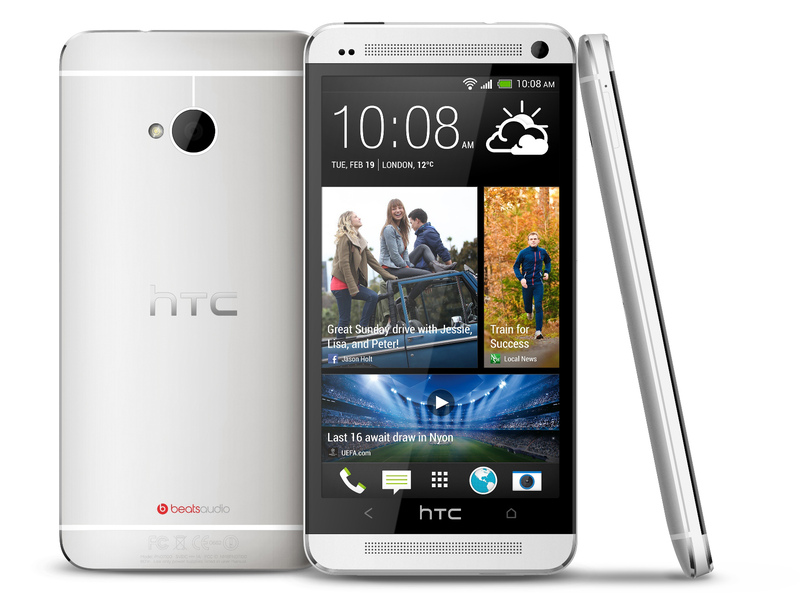 The HTC One now has a 1.7GHz quad-core processor, while the Xperia Z has a 1.5GHz quad-core Snapdragon S4 Pro processor. The boost in performance is limited, simply because you are only getting 0.2GHz faster processor and the technology hasn’t really been designed for any major improvements. We will talk about battery life and storage speeds later, but they really aren’t that big of a deal. Both the Xperia Z and the HTC One have 2GB of RAM. We find that the HTC One is just a stroke faster in performance and benchmarks, but nothing to actually make your decision on. Sony are great camera manufacturers, so their mobile cameras have always been really impressive. The Xperia Z camera doesn’t disappoint, with a 13MP rear camera with Exmor sensor. The phone comes equip with some top features, including auto-focus, Burst Mode, face detection, image stabilisation, geo-tagging, smile detection, sweep panorama and touch focus. Comparing this the HTC One’s new 4UP (Ultrapixel) camera, we see where the two companies differ. Sony is trying to keep things simple and top of the range: waterproof, 1080p display, quad-core processor, minimalistic design, good battery and simple UI. Sony are tackling the core of the problem, while HTC are trying to make new ideas. The problem is while Ultrapixel’s can take good phones in low light compared to others, they make photos pretty grainy and not as well shot as they would be on the Xperia Z camera. Despite the new name for the pixels, the Xperia Z just takes better shots. This is the first time in the Xperia Z vs HTC One comparison we have really been able to say “this point goes to”, the Xperia Z. Both the Xperia Z and HTC One come with Android 4.1 under the hood, although both companies believe they will have 4.2 on their smartphones before too long. Both have their own skin, in HTC’s case, its the Sense 5.0 (or New Sense) and with Sony it is the BRAVIA or Xperia skin, we haven’t really found out the official name. Sense offers heaps of new designs and we notice that HTC are trying to become a software designer, with BlinkFeed, Zoe, Boomsound and other small features they have added to the smartphone. The Xperia Z has some Sony features too, but they are less in your face and it keeps most of the Android design in tack. Both are good skins that don’t pile on new features and try to maintain Android’s integrity, but we believe again the Xperia Z just keeps it simple and it wins, marginally. The Xperia Z comes with 16GB of onboard storage, where the HTC One comes with 32GB or 64GB. The Xperia Z does, however, allow you to add SD storage card for additional if you need it. Both smartphones have beefier batteries than their predecessor, the Xperia Z has a 2330mAh while the HTC One has a 2300mAh. They are pretty much identical, but Sony is touting a lot more usage before the recharge. The HTC One will cost a little more depending on where you shop, but that does come with 16GB of additional storage. In the US most of these are subsidized and on contact, so we suspect the prices will be similar wherever you go.